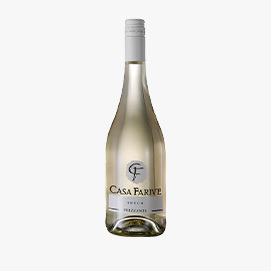 A Frizzante wine of fruity and floral aroma, with a pleasant hint of apple. 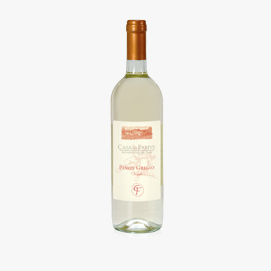 Fresh and full-bodied in taste, it is perfect to cheer aperitifs and to be paired with dishes of pasta or fish. Pinot Grigio Veneto IGT: a wine of fresh taste, ready to captivate with its hints of citrus and fresh fruits, where the green apple dominates. The perfect pairing to light meals, egg-based dishes and rice salads. A Rosato Frizzante (rosé wine) to be enjoyed at every sip, thanks to its fresh and elegant taste, with a fruity finish. Very pleasant to the nose, with its fruity aroma with notes of wild strawberry and blackcurrant.